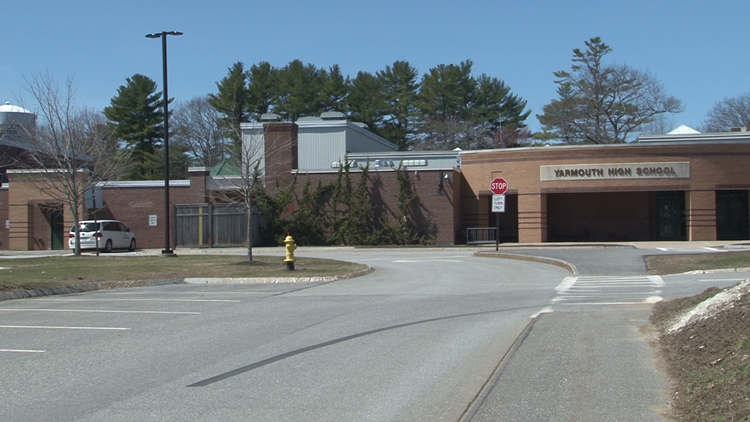 Yarmouth High School was ranked No. 1 among Maine's high schools. (USA TODAY) — Hats off to teachers in the Canyon State: Arizona high schools ran away with the U.S. News & World Report's Best high School Rankings for 2018, nabbing the top five rankings plus the No. 8 spot. The annual list published U.S. News, which ranks everything from institutions of higher learning to cities and entire states, looks at "nearly all" public high schools in the United States — more than 20,500 in all — to sift out the best with an eye on college readiness. BASIS Scottsdale took the No. 1 spot in the nation, the first in a string of schools in the list's top 10 from Basis Charter Schools, one of the state's fastest-growing charter organizations. Arizona's BASIS Chandler, BASIS Oro Valley, BASIS Tucson North and BASIS Flagstaff round out the top five, with BASIS Peoria coming in at No. 8. The rankings come amid Teacher Appreciation Week and shortly after Arizona teachers ended a historic walkout over pay and funding cuts. “Top-ranked schools succeed in three main areas: exceeding expectations on state proficiency tests, offering challenging coursework and graduating their students,” Anita Narayan, managing editor of Education at U.S. News., said in a statement. Massachusetts topped the overall state rankings, with 25.7% of its public high schools receiving gold and silver medals from U.S. News (a designation based on college readiness.) That state edged out second-place California by just 0.3%, while Maryland came in third. It's little surprise that BASIS Scottsdale, the overall top school, also topped the list of best charter high schools. In fact, seven of the top 10 gold medal schools are charter schools, which make up 24% of gold medal schools thanks to graduation rates, state assessments, college-level curricula. The top magnet school in the nation, Michigan's International Academy of Macomb, took No. 7 overall. The top STEM school is High Technology High School in Lincroft, N.J.
Nearly 6,000 schools in all received recognition from U.S. News, which worked with global research firm RTI International on a methodology that stressed schools "must serve all students" and yield measurable outcomes tied to that. Find out more about the methodology and explore state-by-state rankings in full at U.S. News. Individually overall, nationwide, Yarmouth was 209th, Cape Elizabeth was 459th and Falmouth was 485th. There were two Maine schools in the top 500 last year. Cape Elizabeth was ranked the 99th best STEM school while Yarmouth came in at the 231st spot. Twenty-two percent of the state's 72 eligible high schools earned recognition.